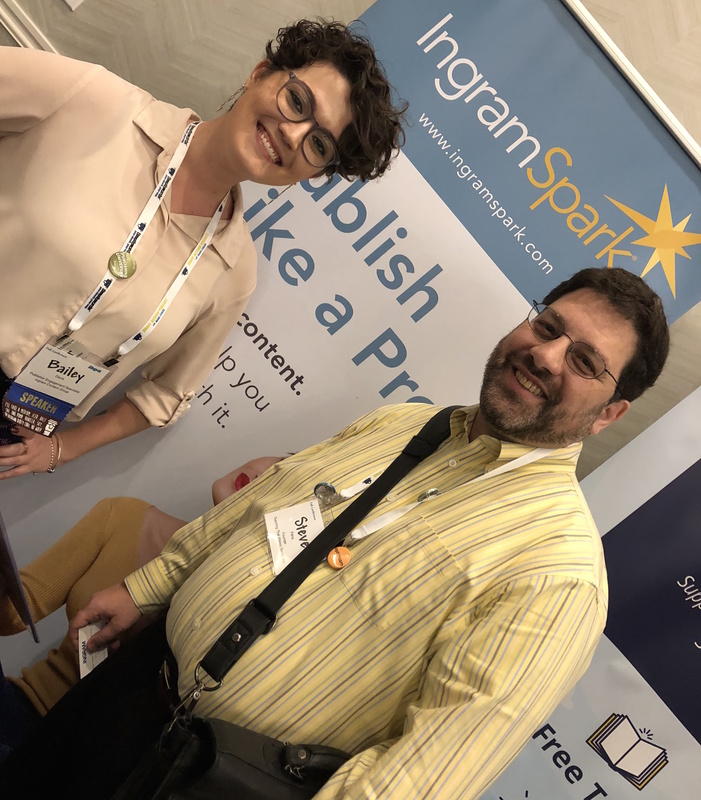 IngramSpark, the self-publishing arm for the book distribution giant, made the most of its appearance at the Independent Book Publishers Association meeting in Austin. The company offered a clinic on effective conference/trade show marketing. They got their name on everything, including the full back page of the program. IngramSpark's booth was staffed by engaging and knowledgeable people like publisher engagement manager Bailey Davis, who were genuinely helpful. They mastered the delicate balance between spending time with visitors while not making anyone wait too long. No useless swag here! 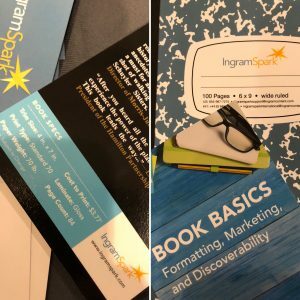 The IngramSpark folks offered some nice stickers promoting their podcast, a nifty composition book for note-taking, and a small book offering tips on publishing, marketing and discoverability. In other words, stuff we might actually use! But even more impressive was their product samples. Each book has a few printed pages inside so we could get a feel for quality inside and out, plus -- this is the beauty part -- each one has crucial details about pricing and production. This info supports satisfying self-service when staff is otherwise engaged, and speeds the conversation when interacting one-on-one. It also gives visitors some confidence in the numbers. Ms. Davis not only led a session on how to find and work with a distributor, she participated in one-on-one Ask the Expert sessions, 15-minute meetings with authors and small publishers. This enabled IngramSpark to share insights and provide information that was truly relevant and personalized. IngramSpark is arguably the leader in this space, so it's not like they needed to be at this event to get noticed. Its presence here and its strategic activities enabled a giant company to deliver valuable information to and establish personalized relationships with small publishers.